Disney has somehow managed to turn an amusement park ride into a multibillion dollar franchise spanning five features that doesn't seem like it's anywhere near slowing down. Orlando Bloom and Keira Knightley return to their fan-favorite roles for this fifth entry, which sees Captain Jack Sparrow (Johnny Depp) facing his archrival, Captain Salazar (Javier Bardem), the undead leader of a powerful ghost army. The swashbuckling action is more competent than in the last entry and is sure to please fans, but probably not win over anyone else. As usual, the length of the film is a nearly an insurmountable barrier. For a while it looked like Colin Trevorrow was going to begrudgingly be one of the biggest directors in the world. Then he made The Book of Henry, a film so bad that it allegedly factored in to his firing from Star Wars: Episode IX. In the film, Susan Carpenter's (Naomi Watts) oldest son Henry (Jaeden Lieberher) is something of a wunderkind. At 12 he's already financially supporting his family, taking care of his younger brother Peter's (Jacob Tremblay) bullies, and getting straight As. One day, Henry discovers that his neighbor is being abused by her stepfather and makes a plan to stop it. What follows is a ludicrous plot with a monster of a twist that's as cruel as it is dumb. It's not even worth it to watch Naomi Watts go to some pretty crazy lengths. 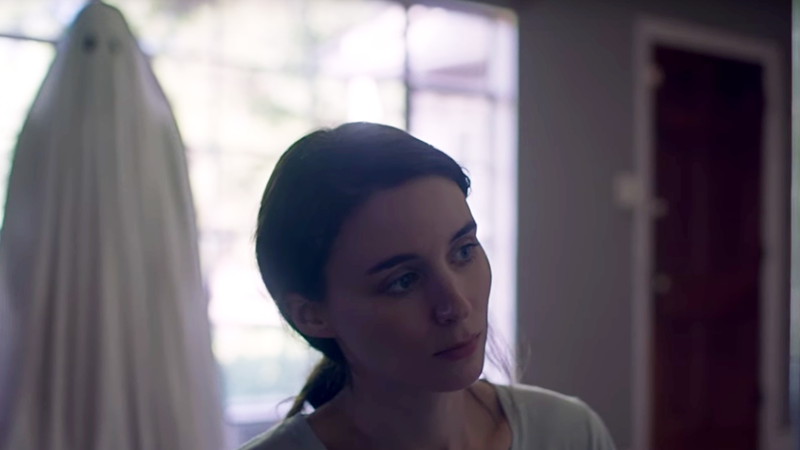 Rooney Mara and Casey Affleck play a couple referred to only as M and C. C dies in a car crash and inhabits a spirit body watching over M as she attempts to live her life. To say anything more of the plot would be a disservice; the film works with its minuscule budget cleverly. The ghost effects are nothing more than the classic 'eyeholes in a bed sheet' look and nearly all of the film takes place in one house, two things that could have easily been pretentious or boring but come off stylistically significant. David Lowery's quietly powerful rumination on death is one of the year's most unique films. Shortly after The Notebook presented Ryan Gosling as a compelling leading man, Half Nelson cemented his position as a star. His Oscar-nominated performance as Dan Dunne, a drug addicted, middle-school history teacher, is nothing short of brilliant. After a chance encounter with an ex causes his addiction to spiral, Dan becomes a sort of mentor to one of his students, Drey (Shareeka Epps), whose single-mother is absent and her brother is serving time for selling drugs for the local dealer Frank (Anthony Mackie). The drama works thanks to strong direction and inspired performances from Gosling and Epps. David Oyelowo has a meaty role as real-life criminal Brian Nichols, who escaped from jail and killed four people before holding Ashley Smith (Kate Mara) hostage in her apartment. Brian and Ashley form an unlikely kinship after her readings from a self help book speak to him. Oyelowo is expectedly great, as is Mara, but they can only do as much as the poor script and ham-fisted direction will allow. There is not enough in the plot to justify the feature length, and a lot of the movie feels like an advertisement for the self-help book. One of 2016's most essential films. As the title implies, the film is a criminally untold story of three black women who played crucial roles for NASA during the Space Race. Mathematician Katherine Johnson (Taraji P. Henson) and aspiring engineer Mary Jackson (Janelle Monáe) are overseen by fellow mathematician Dorothy Vaughan (Octavia Spencer); the three women are known as 'human computers' and did a majority of the required mathematics to make the missions possible. The leads are fantastic in this crowd-pleaser that tells its story in a conventional but compelling way. Atlanta has quickly become one of the most interesting and critically revered shows on TV, winning the Golden Globe Best Comedy Series and it recently earned Donald Glover Emmys for Outstanding Acting and Directing in a Comedy Series. The show centers on the burgeoning Atlanta rap scene, specifically following up-and-comer Miles (Brian Tyree Henry) as he is managed by his cousin, Earn (Donald Glover). 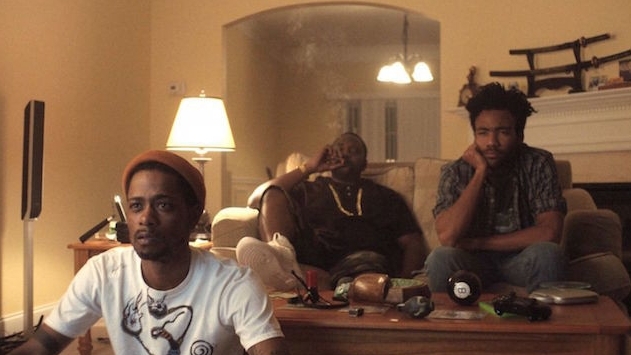 Visually inventive, often hilarious, and culturally important, Atlanta is one of the most necessary shows on TV. Michael Haneke's ultra dark yet playful Funny Games is an essential commentary on film violence that'll linger long after the credits have rolled. While her husband, Georg (Ulrich Mühe), is away, Anna (Susanne Lothar) lets two strangers, Paul (Arno Frisch) and Peter (Frank Giering), into her home and the two proceed to ransack the place and torture her and her family. Haneke uses a number of innovative fourth wall-breaking techniques to make you feel extra dirty while watching the terrible imagery on display. Haneke later directed a shot-for-shot American remake, which I would personally suggest more due to a stronger cast.